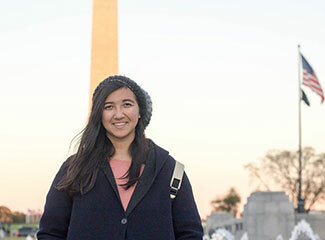 The Brown in Washington Program offers students a semester in Washington, D.C. during their junior or senior year, interning with public and nonprofit sector agencies and completing coursework that complements their internship placements. The program is the product of a partnership between the Swearer Center and the Watson Institute for International and Public Affairs. Visit the Swearer Center to learn more. Thursday, April 11th, 7 p.m.